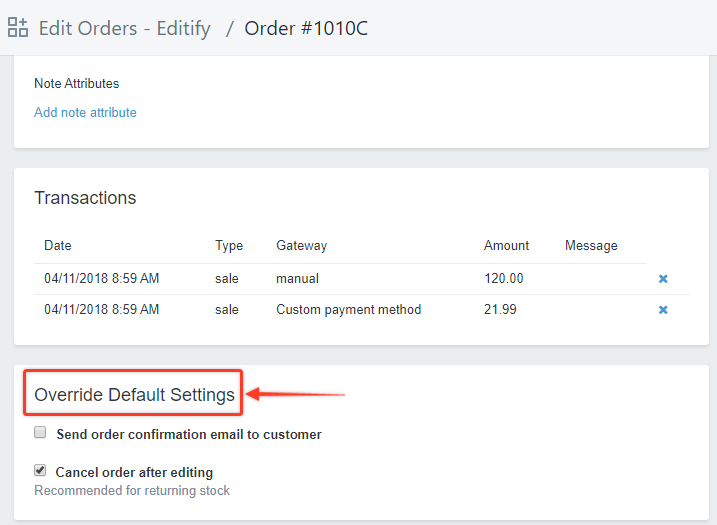 Send order confirmation email to customer - By default, this feature is disabled. 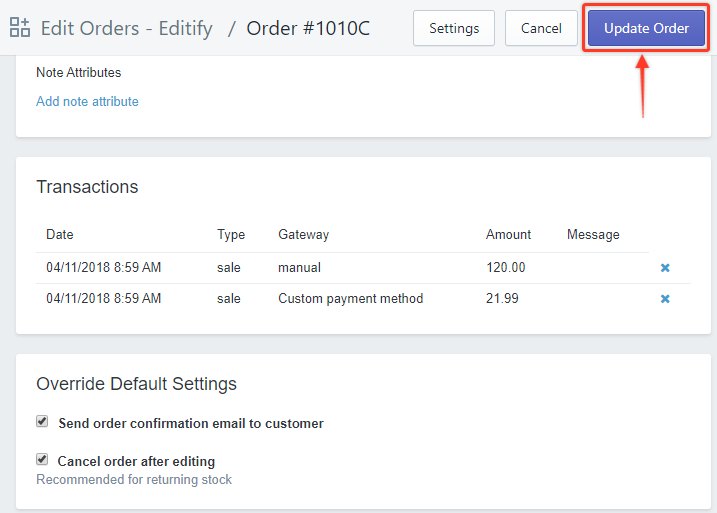 If enabled, this setting allows the app to automatically send an email to the customer to notify him that his order has been confirmed. 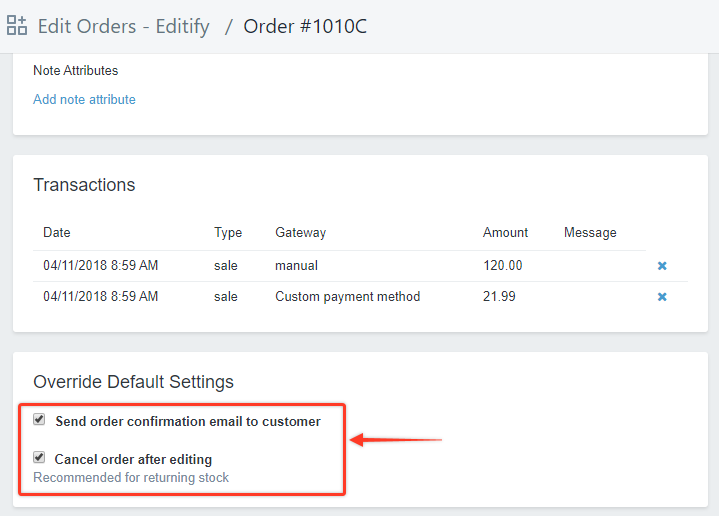 Cancel order after editing - By default, this feature is enabled. 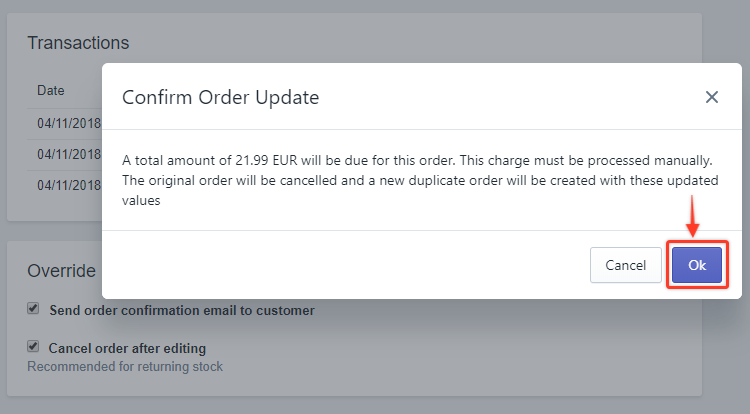 It automatically cancels the original order as soon as its modifications have been done. This will avoid having multiple order details, as well as organize the inventory of the store by keeping track of returning stocks. Step1. In the Order page, scroll down to the Override Default Settings section. Step2. Check or uncheck the boxes to enable or disable the settings according to your preference. In this example, we enable both settings. Step3. 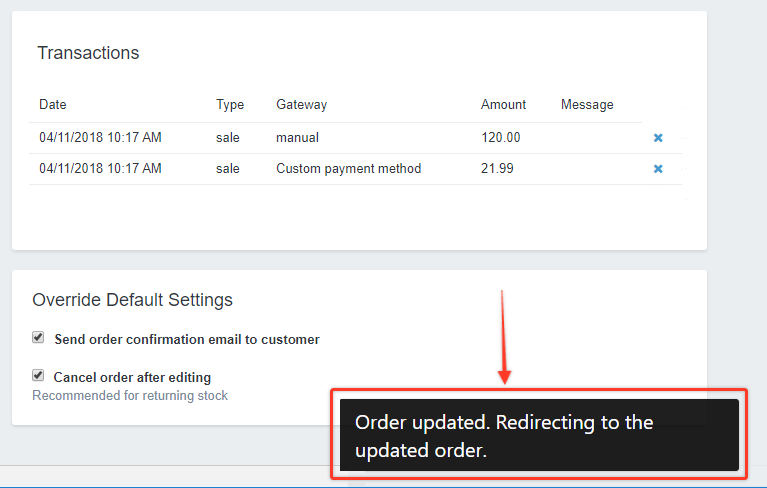 Click Update Order to save your settings. Step4. Click Ok in the Confirm Order Update pop-up window. A pop-up message will appear saying that the order has been updated, an indication that your settings have been successfully saved.